Keep your onions fresh by storing them in this onion storage jar. Perfect for adding some love and country style to your kitchen. Decorated with hearts surrounding the top of the jar and 5 heart shaped vents to keep your onions cool. With an airtight lid decorated with a heart shaped handle. This jar will add a quaint country feel to your decor. With even more matching crockery for making your kitchen pretty and perfect. Keep your onions fresh by storing them in this onion storage jar. 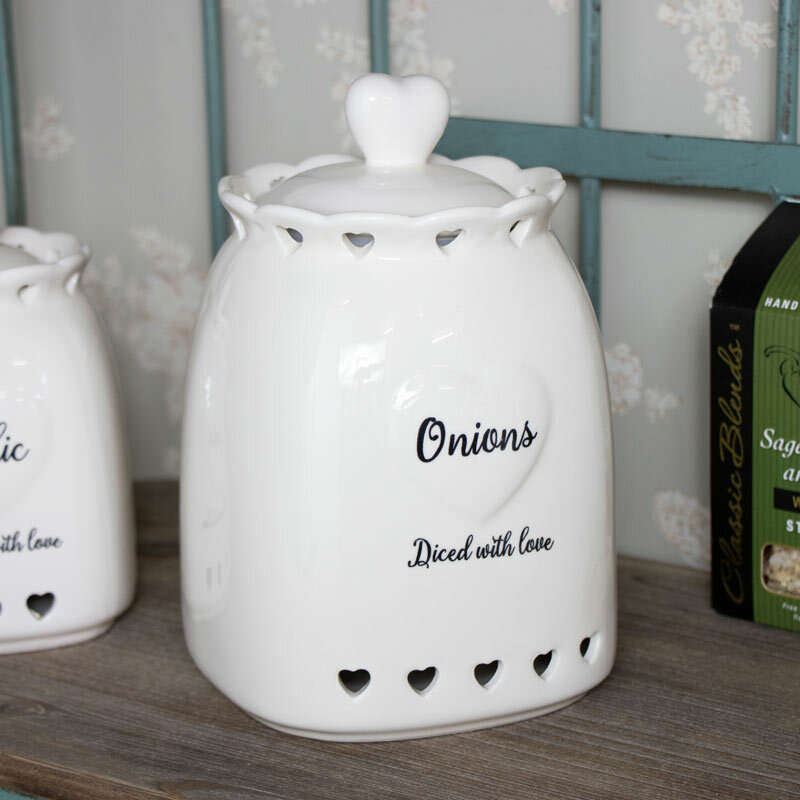 Perfect for adding some love and country style to your kitchen. 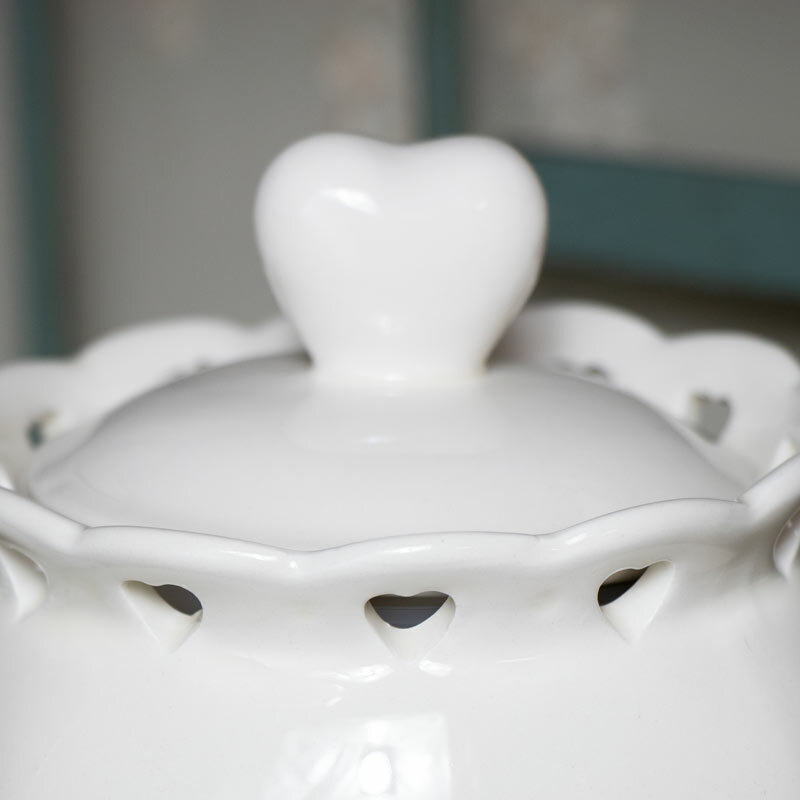 Decorated with hearts surrounding the top of the jar and 5 heart shaped vents to keep your onions cool. With an airtight lid decorated with a heart shaped handle. This jar will add a quaint country feel to your decor. With even more matching crockery for making your kitchen pretty and perfect.